Letters from Caroline: Why do they call it "canning" when we use jars? Why do they call it "canning" when we use jars? 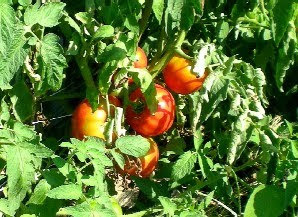 The canning tomatoes are coming ripe in everyone gardens. Floyd ordered an extra supply of mason jars in anticipation of a busy weekend at the store. This year's foreign students at the Plantsburg Agriculture and Vocational College and moving in this weekend. They are expecting students from faraway places including England, Japan, Brazil and Idaho. The Special Events Committee is getting ready for the big bicentennial celebration this fall. Granny Crowder said it is a waste of time because nothing has happened around here in the last two hundred years worth celebrating.